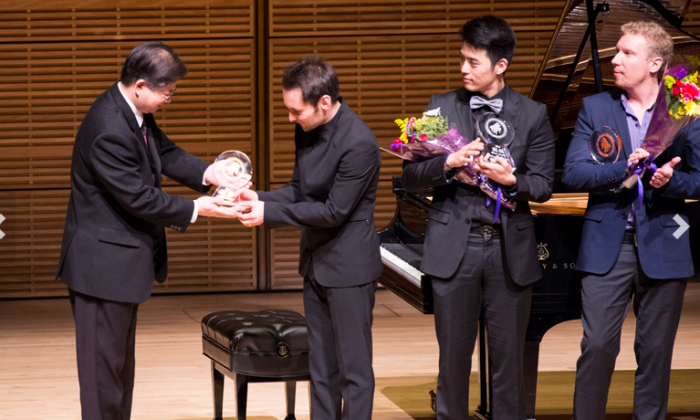 As part of its ongoing efforts to present the best in traditional culture, New Tang Dynasty Television will hold its fourth International Piano Competition in Midtown Manhattan Sept. 30-Oct. 2. “Talented concert pianists from around the world can take this opportunity to present their finest pronouncements in the original style, expressive tonal-color and flawless technique” intended by renowned classical composers, the media release says. The preliminary round will be held Sept. 30, the semifinals on Oct. 1, and finals and award ceremony on Oct 2, with all events at Engelman Hall, Baruch College, 55 Lexington Ave, New York. The semi-final and final rounds will be broadcast live on NTD’s network as well as in online streaming services. The New York-based, Chinese-language TV station has put on a wide variety of arts-themed competitions since 2007, such as the recent 2016 International Chinese Traditional Martial Arts Competition held Sept. 17 and 18 in upstate New York. Other competitions include classical Chinese dance, painting, and couture. The competition series “helps people around the world gain further insight into the characteristics of traditional Chinese and Western culture—pure authenticity, goodness, and beauty,” the media release says. All contestants will have one required piece they must play. Sun said this is an original composition that is identifiably in the Western classical tradition but includes in it elements from traditional Chinese music. This year, qualifying contestants hail mostly from Europe, North America, and East Asia. Classical music faces a challenging time with diminishing audiences, and one goal of the NTD competition is to help reverse this trend and in particular to bring aspiring classical pianists to new audiences. A growing demographic for classical music appreciation is emerging among East Asians, which NTD can help support with its Chinese-language broadcasting and connection to overseas Asian communities. For more information on the NTD International Piano Competition call (646) 736-2988 or email competitions@ntdtv.com. NTD is part of the Epoch Media Group.